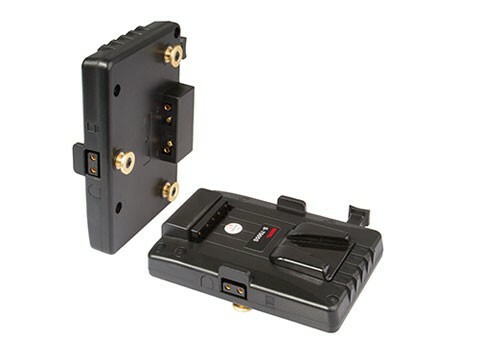 Product information "Swit Gold mount to V-lock adaptor plate S-7005S"
S-7005S is used to adapt V-mount batteries to Panasonic AntonBauer gold mount cameras. The front side is V-mount plate, to attach SONY V-mount batteries, and the rear side is AntonBauer gold mount connection for the Panasonic gold mount cameras. Related links to "Swit Gold mount to V-lock adaptor plate S-7005S"
Customer evaluation for "Swit Gold mount to V-lock adaptor plate S-7005S"